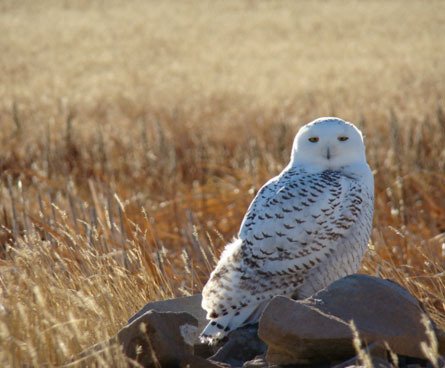 Snowy owls like open spaces and can most often be found near fields where rodents (like their favorite meal the lemming) come to feed on the grass. 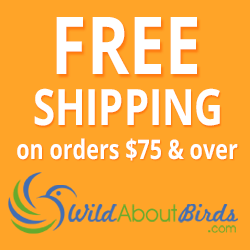 Other birds are also threatened by this large predator. 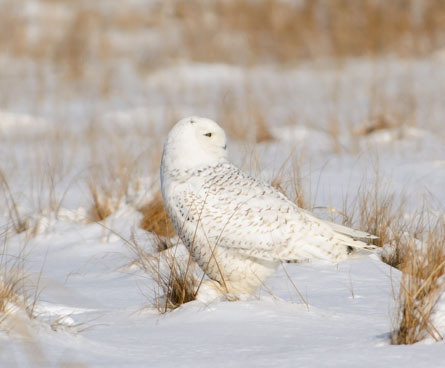 The snowy owl's agility makes it dangerous to smaller birds or water fowl in the area. Impossible to tempt into your yard, the best chance to see a snowy owl is to keep an eye out when you are near its preferred hunting ground. Snowy owls are very large white owls that, unlike many other owls, hunt primarily during the day. This makes them a little easier to spot than nocturnal owls. Their striking color and daytime hunting activity make them a favorite of bird-watchers in the north. Reference: Dunne, P. 2006. Pete Dunne's Essential Field Guide Companion. Houghton Mifflin, New York.